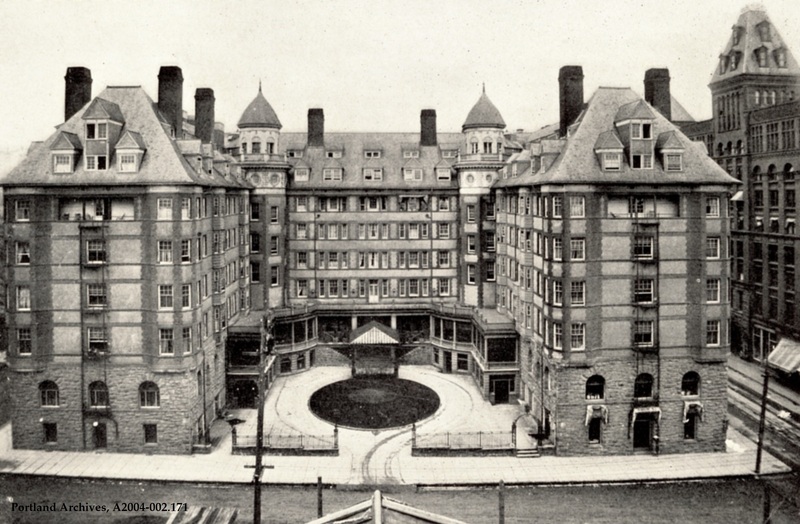 The Portland Hotel, 1904. This image comes from the souvenir book Oregon Scenery: Views of Portland and Glimpses of Oregon Scenery. City of Portland (OR) Archives, A2004-002.171. 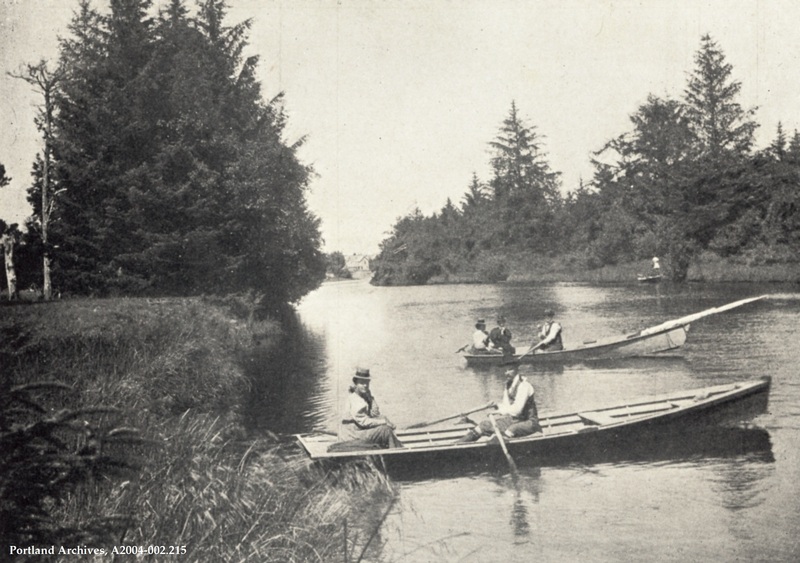 Recreational boaters in Portland, circa 1904. This image comes from a souvenir picture book. Does anyone recognize the location? City of Portland (OR) Archives, A2004-002.215. 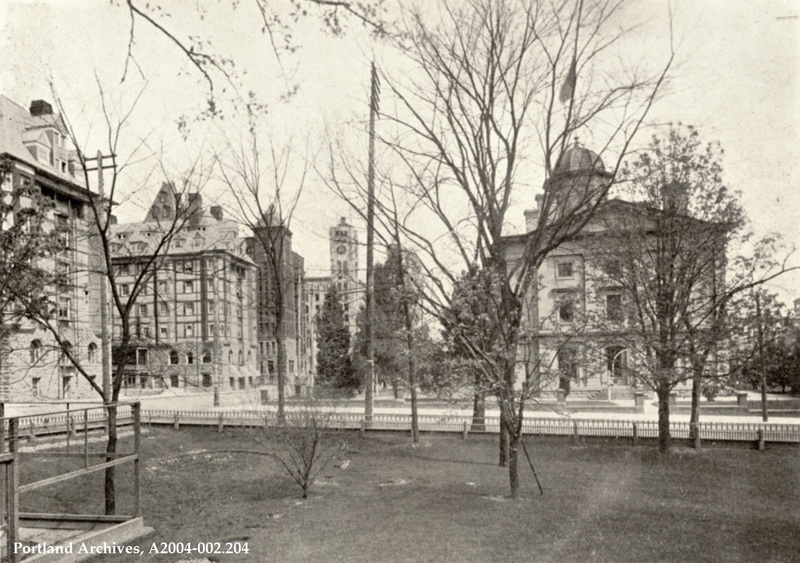 SW 6th Avenue from Henry Corbett’s yard, 1904. City of Portland (OR) Archives, A2004-002.204. On Mt. 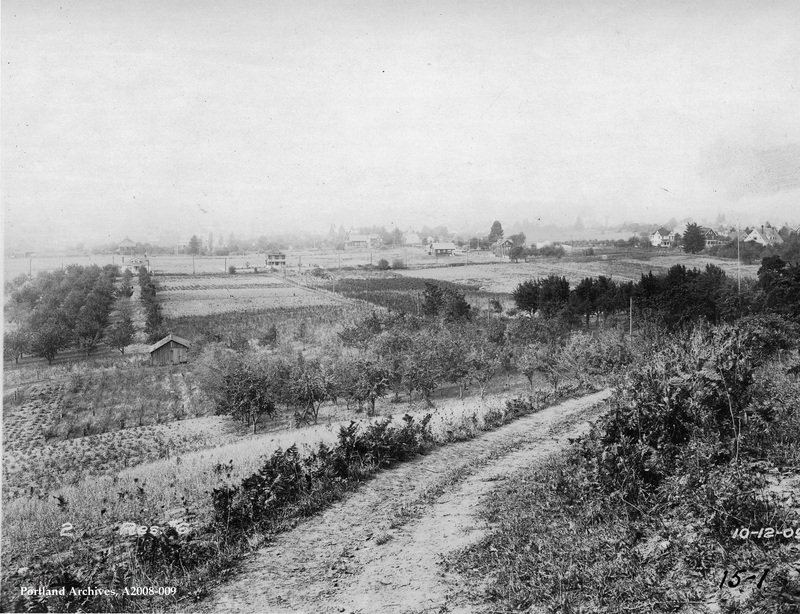 Tabor looking downhill towards the future location of Reservoir 6, 1909. City of Portland (OR) Archives, Mt. Tabor looking downhill toward site of Reservoir 6, A2008-009, 1909. 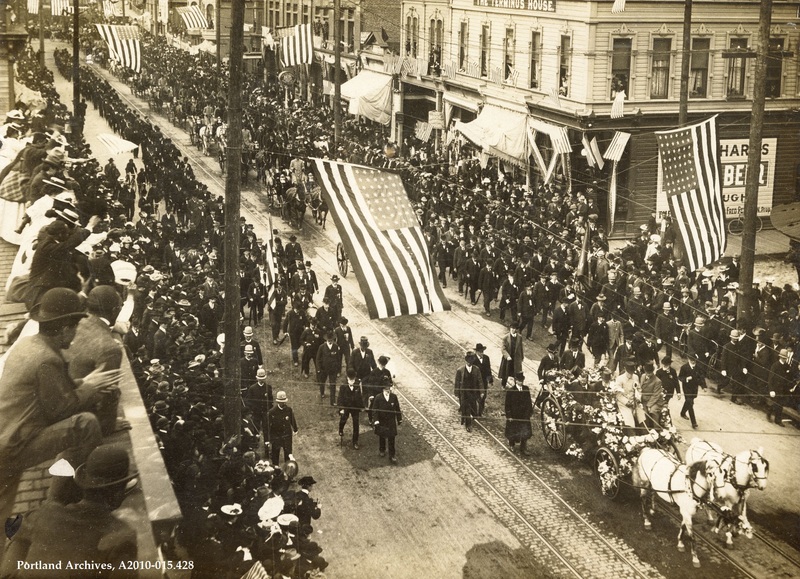 Parade for Theodore Roosevelt on SW 3rd Avenue, 1905. City of Portland (OR) Archives, A2010-015.428. 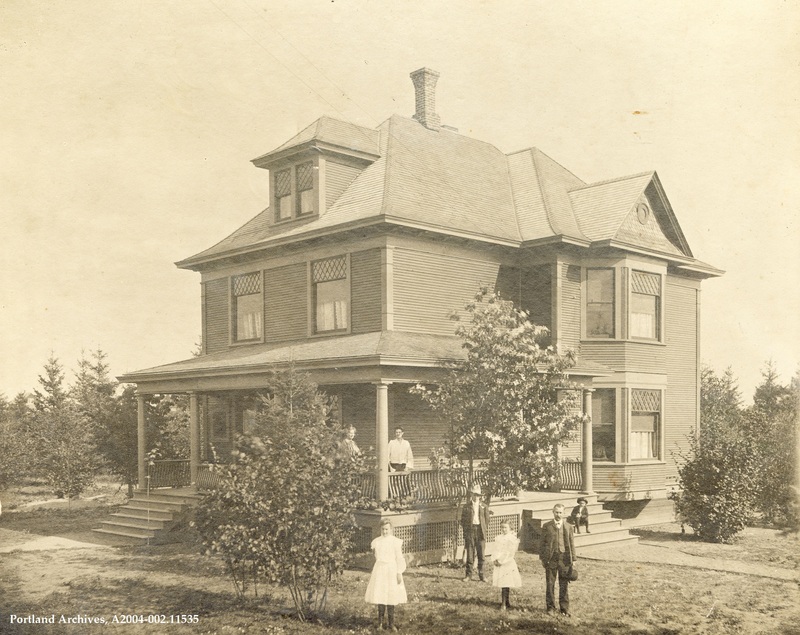 Family posing outside of a house on Alberta Street, 1904. The precise location is unknown. Does anyone recognize the location on Alberta Street? City of Portland Archives, A2004-002.11535. View this image by clicking here. 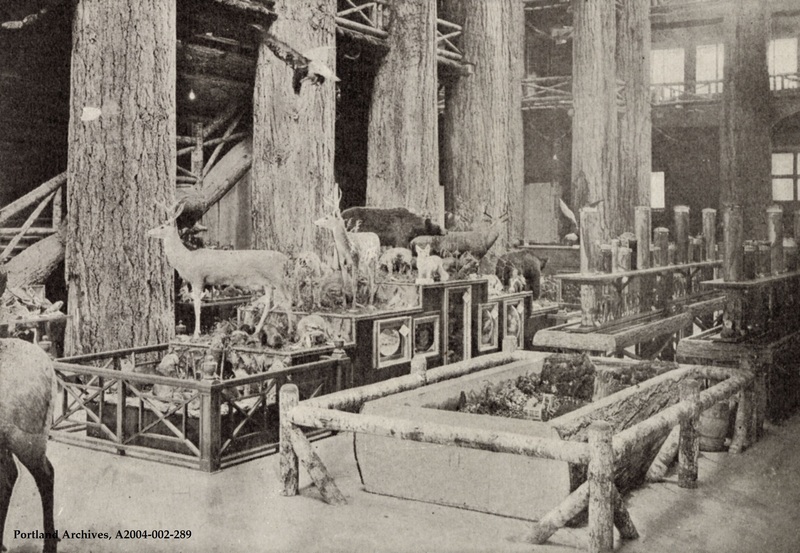 Exhibits within the Forestry Building during the Lewis and Clark Centennial Exposition, 1905. City of Portland (OR) Archives, A2004-002.289.